Size of the product: 21" (L) x 32" (W) x 10" (H). 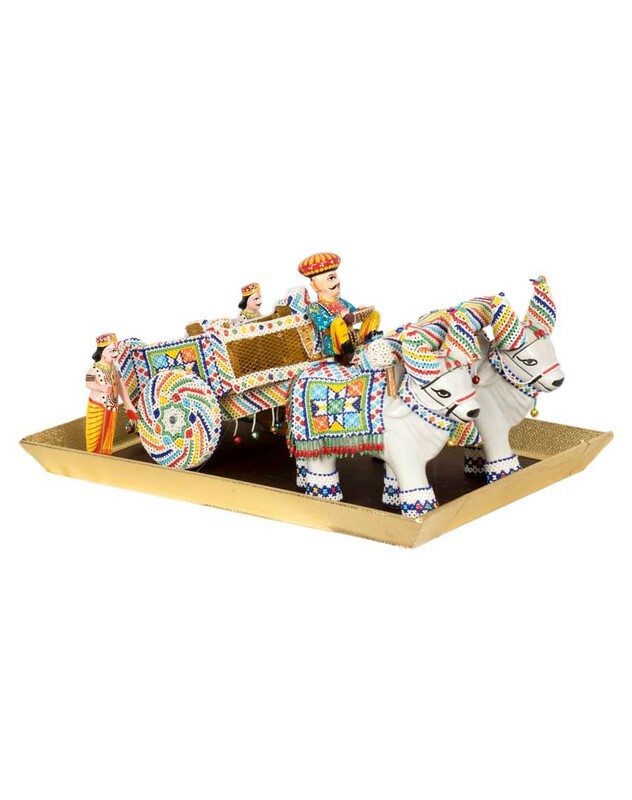 This unique art piece resembles a man riding a bullock cart. The cart is made out of wood and is decorated using beads and the bulls are made of glass which are decorated using beads. 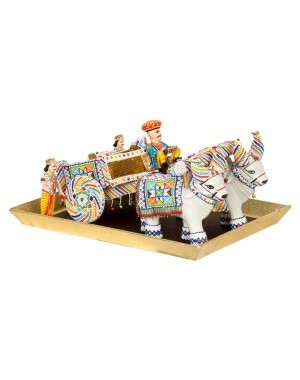 Decorated in colour combination of beads, the bullock cart sits on top of a wooden tray. It can be used during weddings for the lagna pada ceremony.